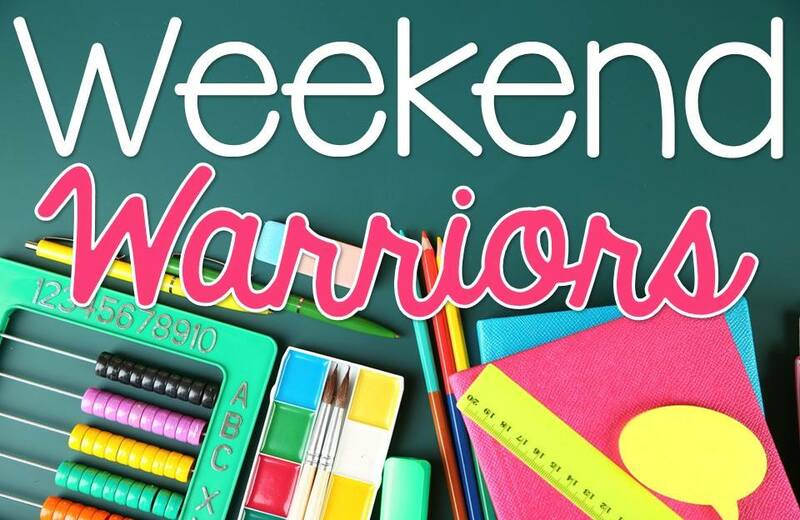 The Weekend Warriors are back! This month we are getting a little personal to share some things about ourselves. 1. Are you type A or B? I am most definitely type B! 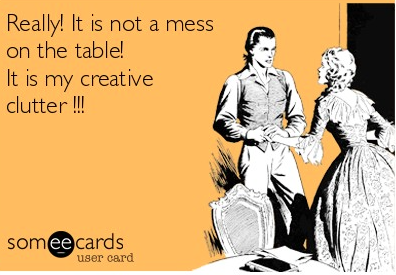 I’m one of those organized mess teachers. My desk is always covered with papers but I know exactly where something is! 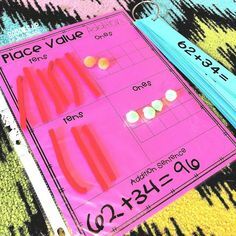 You can read about me keeping it real here!I’m not much of a planner and my lesson plans are simple and to the point. Have you seen this awesome post floating around on social media lately? This post from Education to the Core describes me perfectly, except for the completive part. That is something that I definitely am! 2. 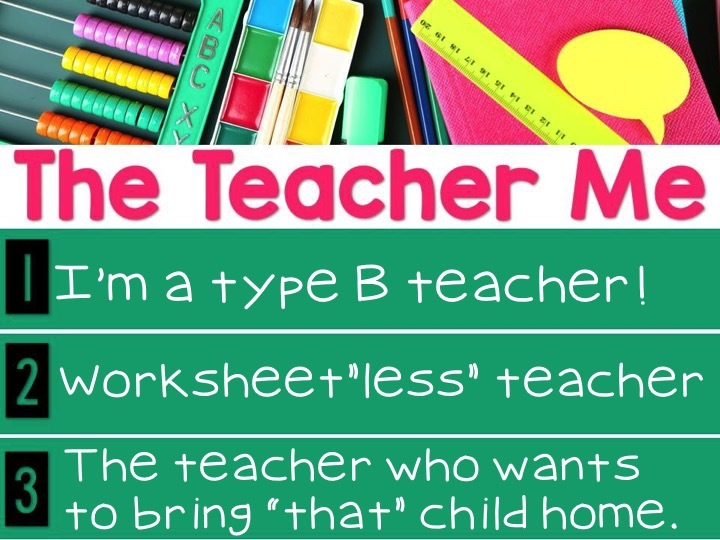 For being so type B, I can not stand giving a child a worksheet and telling them to learn. That just isn’t me. 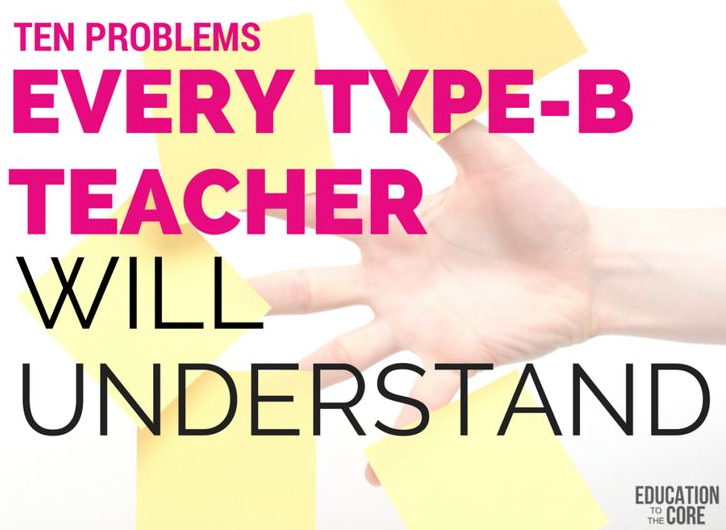 I’m a very hands on, get the kids up and moving type teacher. We use journals a lot! 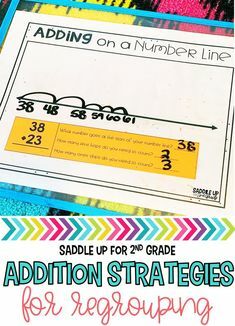 Math stations and Daily 5 are a MUST for me! 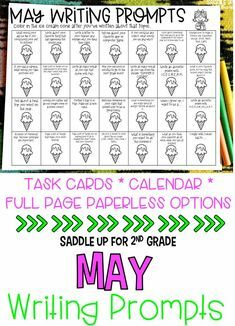 Task cards are my FAVORITE thing! We play iSpy, we scoot around the room, and we have FUN! We sing, we dance, we are goofy! It is just how I am. I hate workbooks. 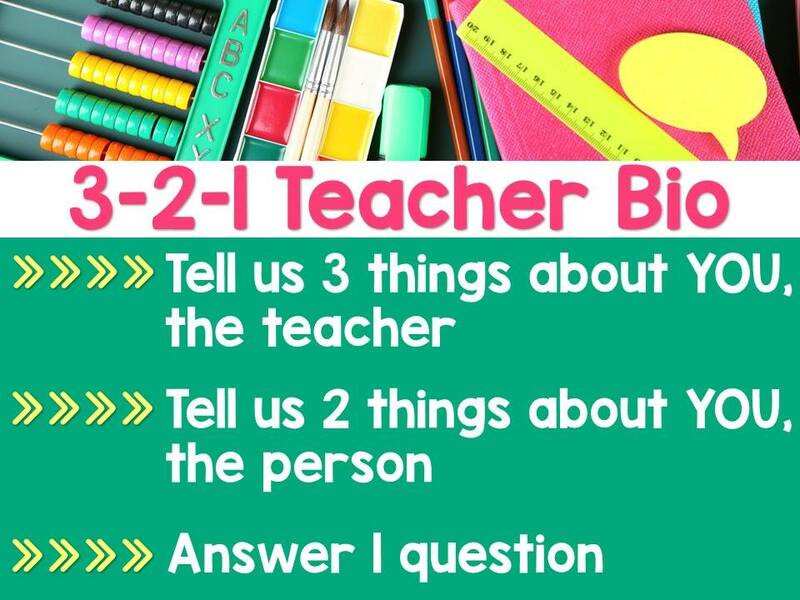 “Rigor” can be fun. 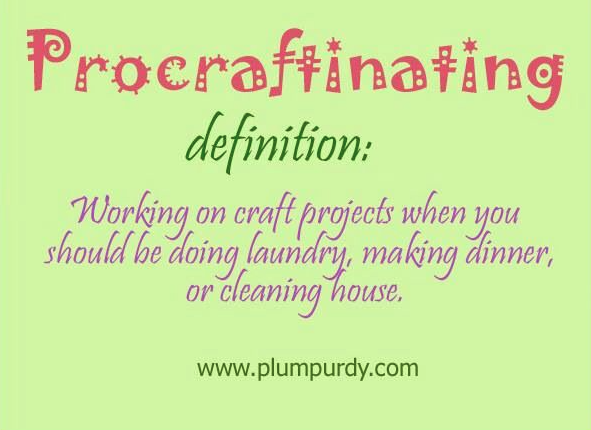 It doesn’t have to come from a workbook. Put the paper away, get out your white boards (or use your desk) and explore the world of learning without paper! 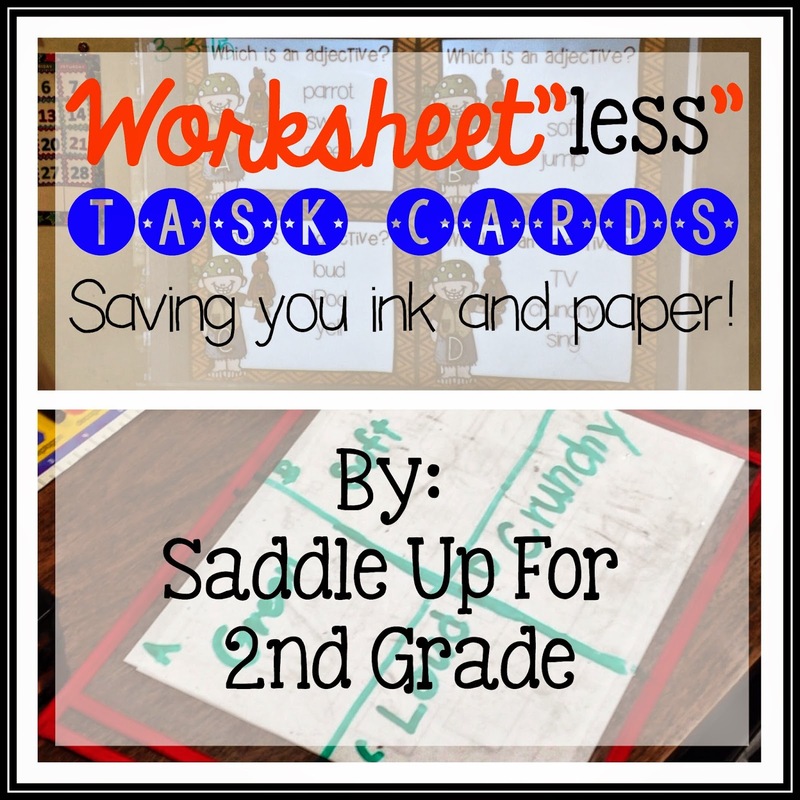 You can read this post I did on worksheet”less” task cards! 3. I am the over sensitive teacher. Actually, I am that over sensitive person. I want to bring that child home that you know isn’t get fed enough or doesn’t have a warm bed to sleep in. I am that teacher that who purchases shoes for a child and sneaks them in their backpack because their only pair is full of holes. I am that teacher who can’t stand to see a child miss treated. I am that teacher who comes home crying to her husband because of something a child told them that day. 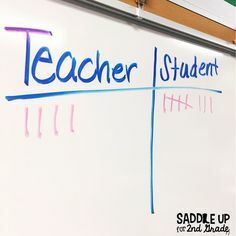 I am that teacher who will stay up all night wondering if that child ate dinner. I am that teacher who will hug on a child multiple times during the day just so they know that they are loved. I am that teacher who came THIS close to bringing one of those students home this past year. I care about their well being and what will happen to them once they leave my class. I am that teacher who CARES about those children outside of the classroom. 1. 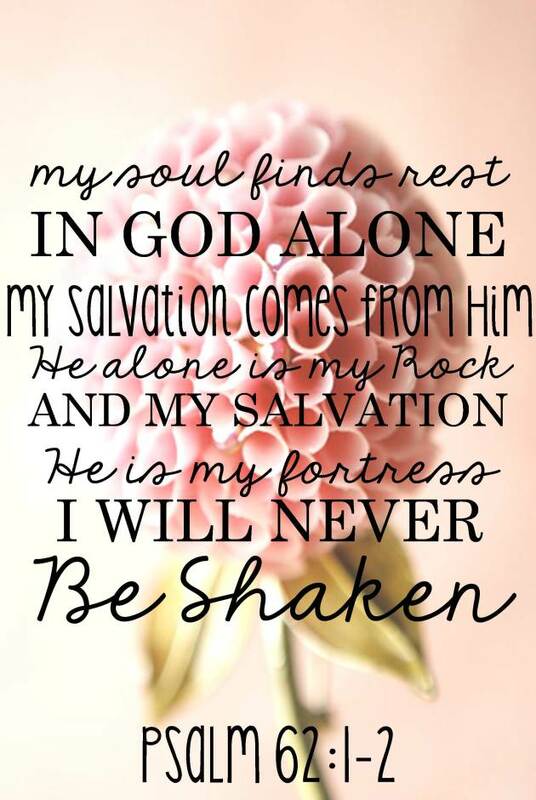 I am a child of the One True KING! My main goal in life is to live through His word. I want people to see Him in me. 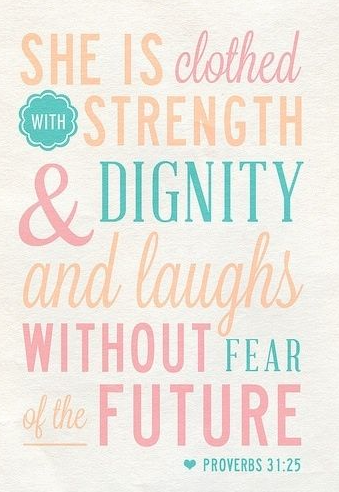 I want to raise my daughter to trust in His timing and to put her faith in Him. 2. 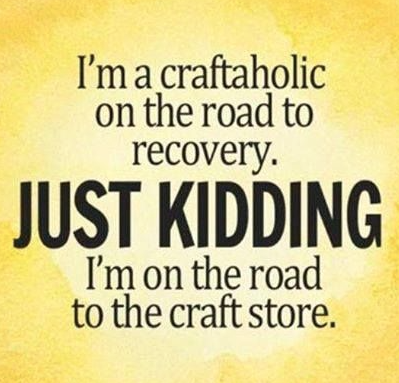 I am all things DIY! I won’t buy something if I know I can make it. My cameo is one of my favorite things along with mason jars, acrylic paint, glitter, modge podge, and scrapbook paper! I love to find trash and turn it into treasure. Bringing an old piece of furniture to life puts a smile on my face. My list of DIY project for our nursery is a mile long and I’m loving every minute of it! 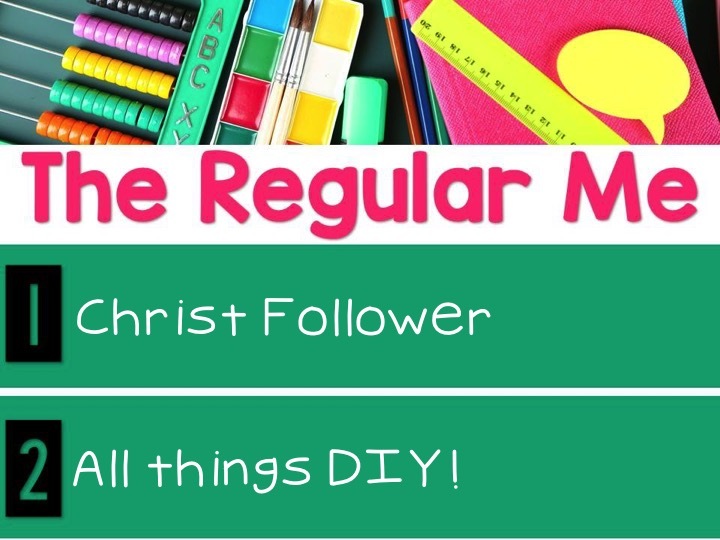 Click here to check out my DIY board on Pinterest! You can read more about me by clicking here! I could sit here all day and tell you how I want to travel to Ireland and Italy. I want to explore all 50 states and ride in a hot air balloon. My bucket list is more than a mile long full of adventures that I hope to one day take. You can see all sorts of dreams on my Bucket List Pinterest board. What I chose to share with you is something real. My husband and I have been married for two years. We have been saving every possible spare penny to buy our first home together. Now with our daughter set to make her appearance soon, we want this dream more than ever. It is something we hope to accomplish within the next year. A place of our own, with some land to watch our daughter grow up. There isn’t much that sounds better to me right now. Another bucket list item of mine that some might call silly is to spend the rest of my life with my husband. I was very fortunate to see both sets of my grandparents celebrate over 60 years of marriage. I love hearing the stories that they share and their experiences they’ve shared together. Watching two people grow in such a way that is priceless in my eyes. That is something that I want. To spend the next 60+ years with my husband no matter how bumpy it gets along the way. 2 years down, a life time to go. Now that you’ve seen me get all sentimental, it’s your turn! We’d love for you to link up with us. Here is what you need to do. Save the following blank image to your computer. Fill in your info. 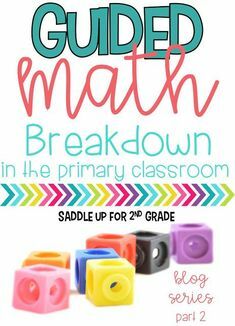 Then link up your blog post below. I can’t wait to learn more about YOU! 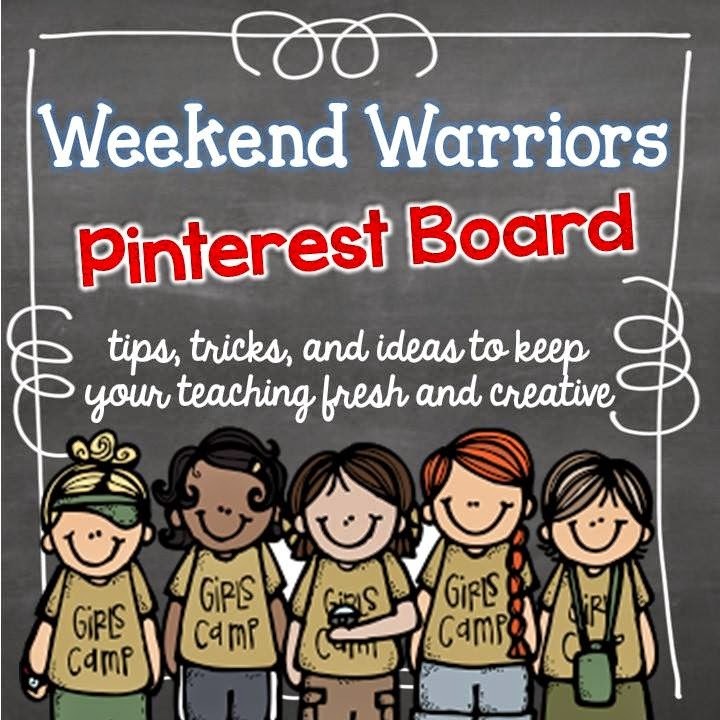 Also, don’t forget to follow the Weekend Warriors on Pinterest! 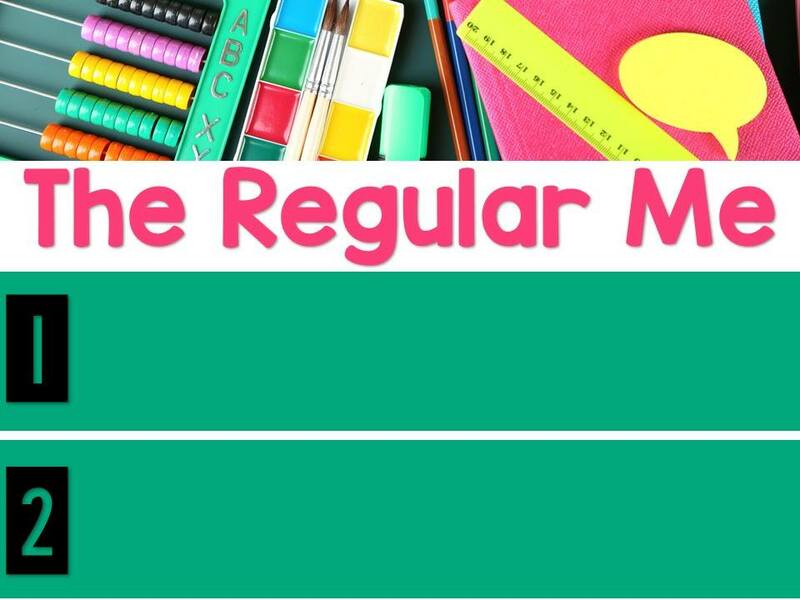 Our board is filled with great tips and tricks to get you through the school year! Now click on the links below to learn more about some great bloggers! Have a great day!